These are the surveys we currently have ongoing in the lab. If you have a few minutes, we’d really appreciate any surveys you could complete. If you’d like to see how the results turn out, please send me an email about the study you’re interested and I’ll make sure to keep you updated. Otherwise, just come back and visit! All the results will be posted here. Video games are the most popular medium for our generation. But what drives us to play games and what determines the games we choose? 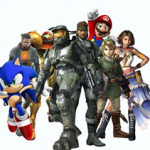 We are trying to understand video game play and choice and need your help! We are looking for heterosexual males and females over the age of 18 to take our short survey here. Thanks for your help! Then we’d like to know a little more about the games you play! 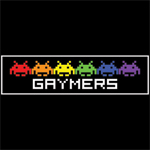 Games are played by everybody, yet we know little about why folks play the games they do, this is espcially true of gaymers! If you are over the age of 18, please consider clicking here to take our short survey.